Collider Movie Talk: Does Disney Need To Rethink Its ‘Star Wars’ Strategy? 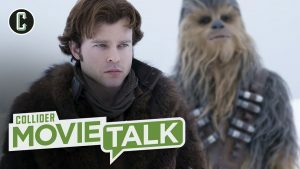 Today on Collider Movie Talk, Mark Ellis, Perri Nemiroff and John Rocha discuss the following: Ron Howard’s Solo: A Star Wars Story failing to meet its box office projection; Willow 2 sequel news with Lucasfilm; Disney’s new trailer for the upcoming film Christopher Robin movie; Filmmaker Dee Rees return to Netflix; The trailer for Won’t You Be My Neighbor and Live Twitter questions. You can check out more episodes of Collider Movie Talk on their YouTube channel here. Chad is a graduate from Wayland Baptist University with a Business Administration degree with a concentration in Health and Marketing. After serving in the United States Navy and finishing college he discovered the world of free-lance writing. 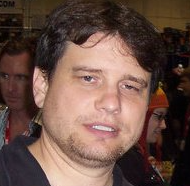 His articles have appeared in Star Wars News Net, Outer Places as well as many other entertainment-related websites. In his free time he enjoys reading, writing, TV, collecting rare films, and spending time with his family and dog. His favorite films are Blade Runner, Star Wars: Return of the Jedi, Jaws and Fritz Lang’s Metropolis.